Aphorism: Lich King is at last defeated! Saurfang hard mode is down! Lich King is at last defeated! 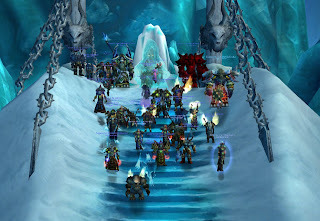 After a few weeks with bad luck in raiding we finally managed to get the raid up to kill Lich king. Good job Aphozoids!